At the GaLaBau in Nuremberg, Doosan Bobcat EMEA will present its extensive range of Bobcat machines and attachments for gardening and landscaping from 12. to 15.09.2018 at its stand 336 in hall 07. 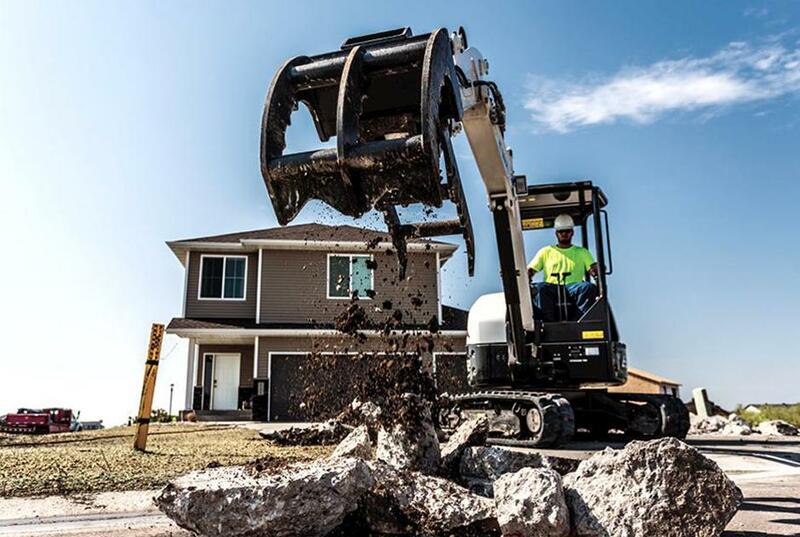 Especially in landscaping, the user benefits from the large number of different attachments for the compact Bobcat machines. For almost every application, a suitable device can be purchased or rented. A new top of the range telehandler - TL43.80HF will celebrate its world premiere at the GaLaBau. The new machine will be on the outdoor demonstration area. The compact machinery specialist also brought along its recently introduced compact excavators of the five models (E26, E27z, E27, E34 and E35z) at the Intermat. At the GaLaBau, the machines of the new series of 2-4 tonnes will be presented to the German public for the first time. The new product line offers the best combination of high digging forces, outstanding stability and smooth maneuverability in this category. In addition, it has a low weight for easy transport. 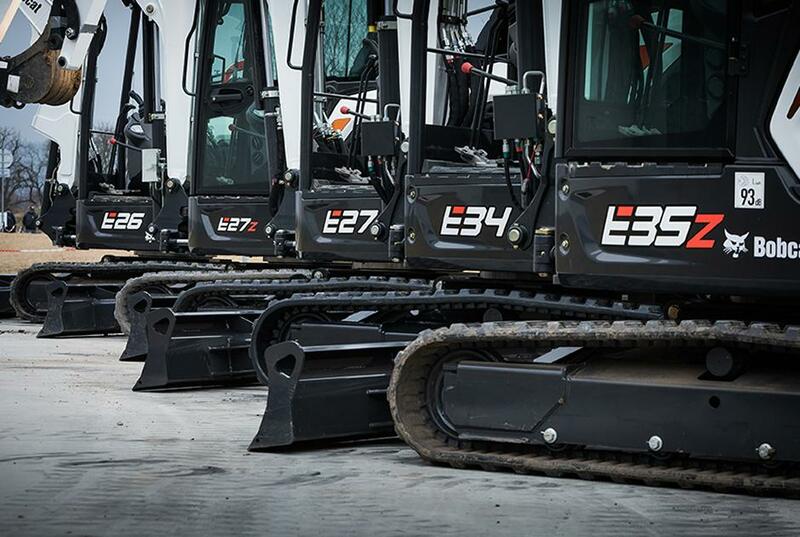 At the GaLaBau, the E27, the E27z and the E35z will be on display indoors and the E34 on the outdoor demo area. This offer is valid only 3 weeks, do not wait! 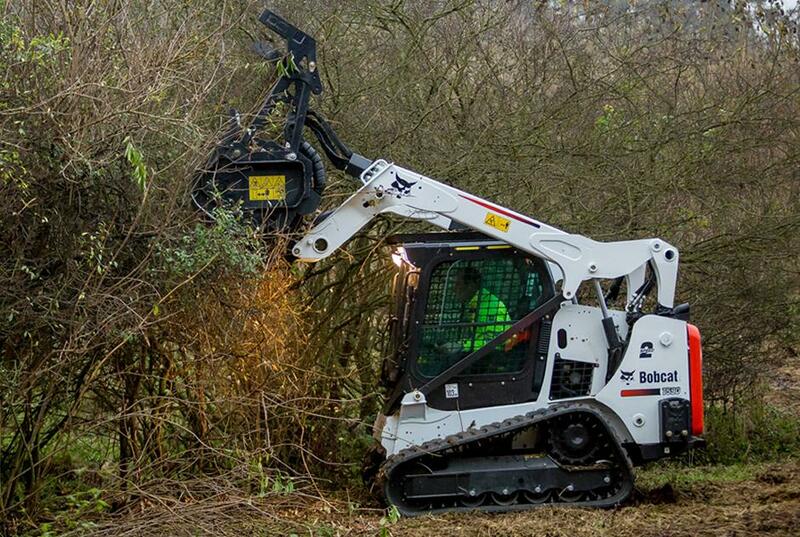 At the booth Bobcat presents his solutions in gardening and landscaping through seven steps – how the combination of carrier machine and attachment enables an efficient execution of all necessary work of a GaLaBau project. On a further area, additional solutions for agriculture are presented. Beginning with site cleaning, Bobcat will be demonstrating how, with the help of a T590 compact track loader in combination with the FRC150ST forestry mulcher, the area to be worked on can be quickly cleared of trees, scrub and other vegetation. The underground work includes an E10 mini digger with a grave bucket and a 1.9-ton E19 compact excavator with a trench cutter. Then the ground is leveled with the new short tail excavator E27z using a leveling bucket and dozer blade. 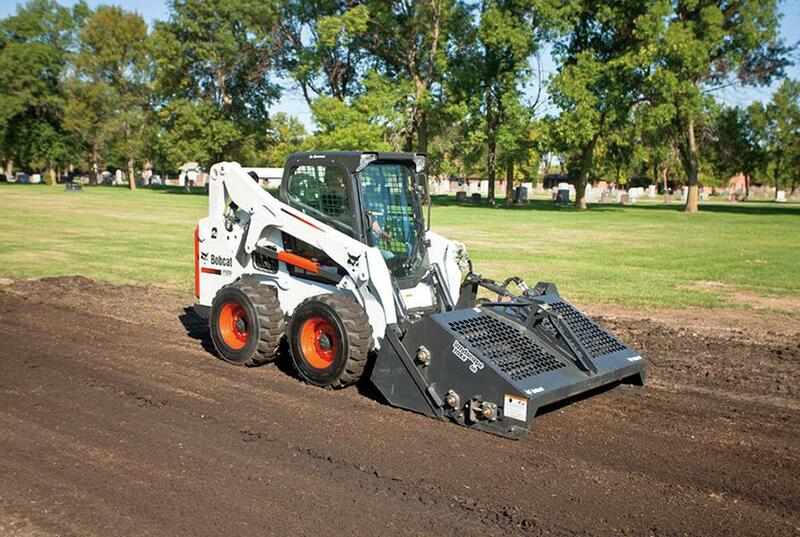 For further surface work, the skid steer loader S450 will be exhibited with the leveling rake. It can level and level the ground in forward or reverse, releasing and removing soil. 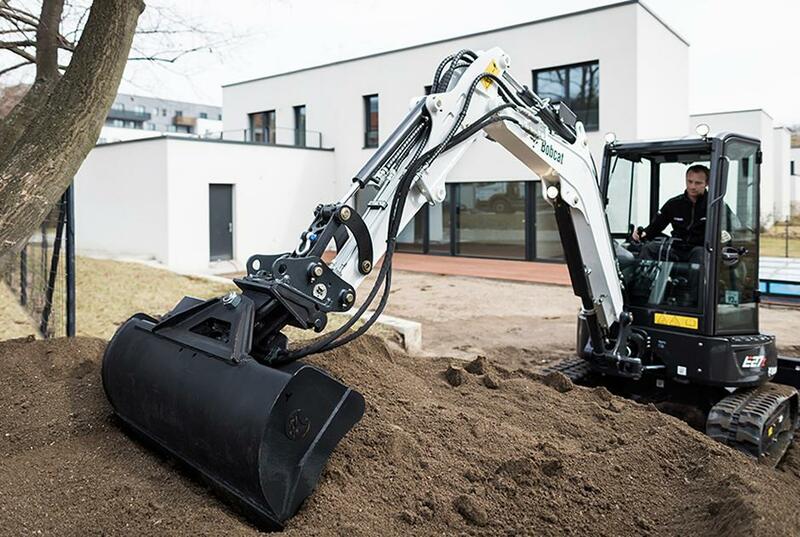 To bring the material to the desired position, the new 3.5 ton compact excavator E35z with short tail in combination with a grave spoon and a grapple is presented as a solution example. 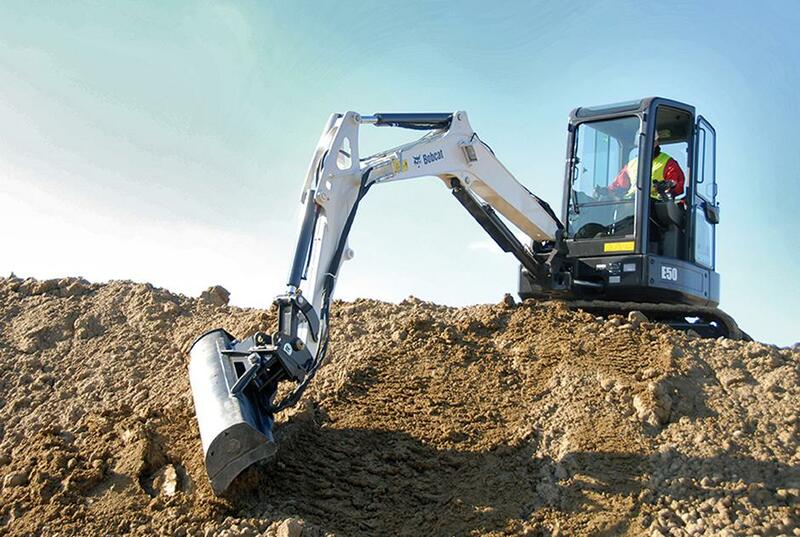 For the introduction of the top soil deployment is ideal the compact excavator of the 5.0 ton class E50 with a leveling bucket. 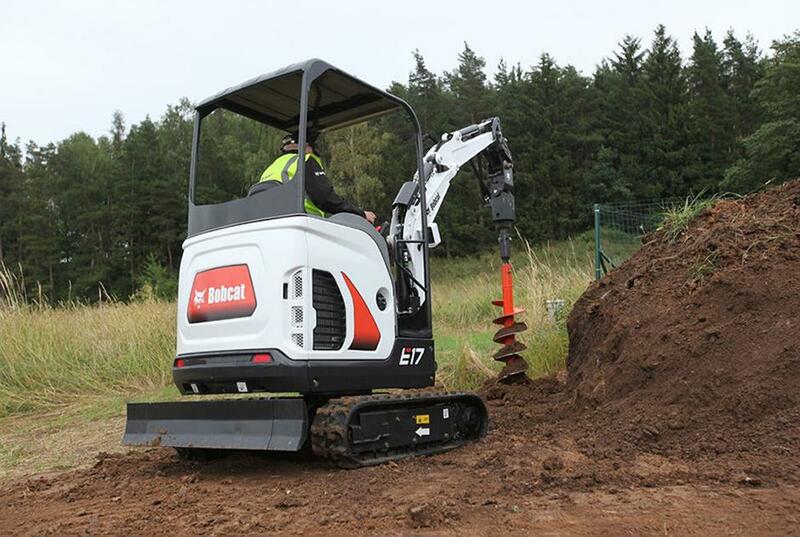 For the final grass & Trees Bobcat presents the new E27 excavator with an auger. Not only can he drill holes for plants quickly and efficiently, he can also drill piles. Traditionally, visitors to the outdoor area in the demo area can experience a lot of action. 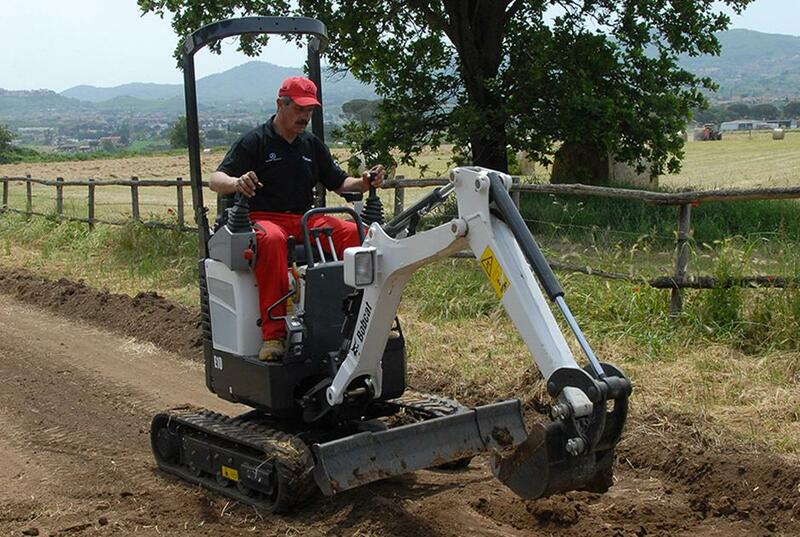 In addition to the brand new telescopic loader various compact, compact tracked compact excavators and compact excavators impressively demonstrate their skills.